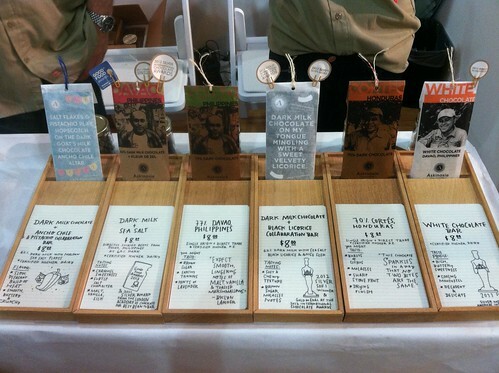 Blondie and Brownie: Paper Magazine's Super (Duper) Market Starts Today! Paper Magazine's Super (Duper) Market Starts Today! With a new baby and a toddler, not to mention erratic weather—it’s a heat wave! it’s a monsoon—let’s just say I haven’t gotten out much lately, so when we got a press preview invite for Paper Magazine’s Second Annual Super (Duper) Market and it mentioned a collection of vendors that I’d been wanting to try from the Flea and around the city as well as some all-star out of town purveyors (did someone say HUMPHRY SLOCOMBE?! ), I knew I had to try to make it and I’m glad I did… I arrived towards the end of the preview so I didn’t get to hit every vendor, but here are some of my favorite treats I sampled. My friend, CityMinx has been commending Breads Bakery to me for months and it just so happened that they were the very first booth I spotted. While I couldn’t try their stellar looking babka because of the nut factor, their challah was swoon worthy—perfectly light and airy, I can’t wait to go back and get a whole loaf. 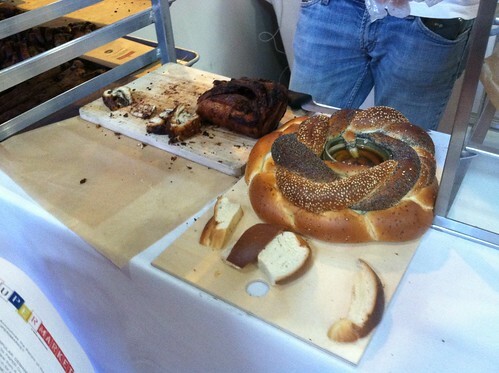 Speaking of breads I want to go back and get more of: Jack's Chedbred. This isn’t your average cornbread. The cheddar was made of a 3 year aged VT cheddar and was, dare I say it, cheesetacular. 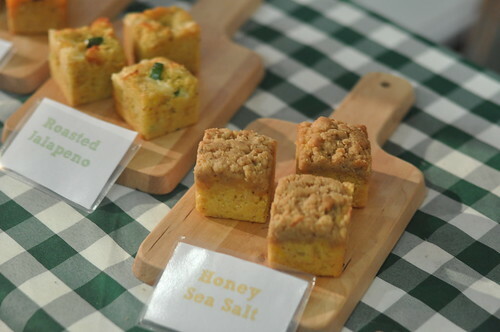 Also a big fan of the roasted jalapeno and the honey and sea salt, which reminded me of my favorite crumb cakes. Can’t wait to check these guys out at the Smorg. I was especially excited to see Askinosie Chocolate. Askinosie is an exceptional bean to bar, small batch artisanal chocolate producer out of Missouri. Their chocolate has racked up tons of accolades including several Sofi awards, but it’s their mission that’s truly incredible. Each bar of chocolate is 100% traceable. They know and work closely with all the farmers that farm their beans and the social impact that the company has had in their own community and the communities that farm their cacao beans has been incredible. This is truly a treat you can feel good about buying, sharing and eating. 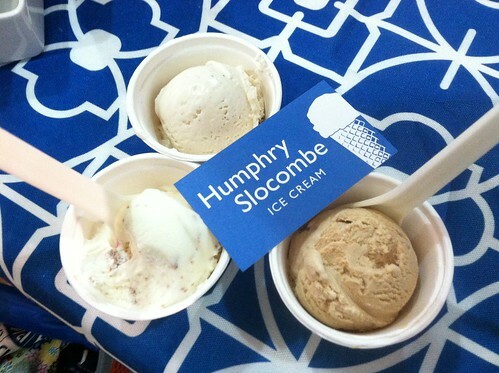 Following Humphry Slocombe on Twitter is a special kind of torture if you don’t have immediate plans to visit San Francisco. I’ve never been to SF and I doubt I’ll be heading out there too soon, so I was especially excited to see the friendly folks from Humphry Slocombe would be bringing their ice cream to NYC. 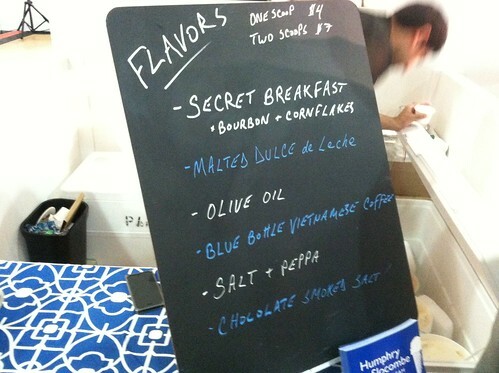 I tried their famous Secret Breakfast (bourbon & cornflakes), their Salt and Peppa and Blue Bottle Vietnamese Iced Coffee .The were all amazingly rich and creamy. The Salt and Peppa which included a mix of several different peppercorns was like no other ice cream I’ve had before. The floral sort of fruity flavor of the peppercorn blend was unexpected yet familiar. The Iced Coffee was one of the best coffee ice creams I’ve ever tried and well, you can’t go wrong with bourbon. They've brought six flavors, you'll probably want to make several trips so you can try them all. 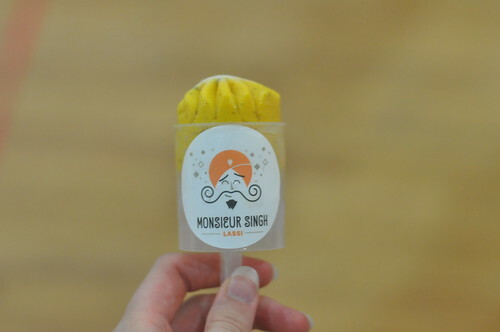 I fell in love with Monsieur Singh’s frozen lassi last year. They’ve tweaked the recipe a bit and instead of lassi popsicles, they offer push pops and pints which enables them to serve a softer frozen lassi that’s intensely creamy for a yogurt treat. Forget everything you think you know about frozen yogurt, 'cause this isn't your average froyo, it's lassi and it's awesome. Don't make me choose between the mango with mint and the cardamom rose, both are incredible. 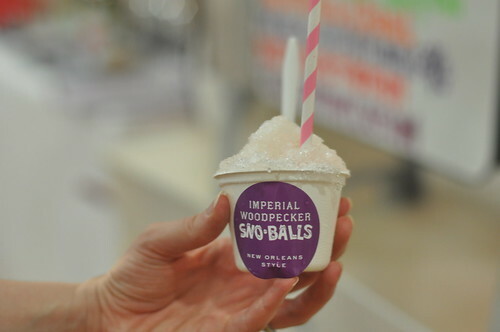 Last but not least, the Sno Balls from Imperial Woodpecker are the perfect end of the day treat for when you want something cool and fresh to cleanse your palate after all the goodies. I went for their Grapefruit Basil, which was light and summery, fresh and refreshing. The Super (Duper) Market runs TODAY through Sunday. WHEN: Friday, August 2nd, 11 a.m. to 4 p.m.
Saturday, August 3rd, 11 a.m. to 6 p.m.
Sunday, August 4th, 11 a.m. to 4 p.m.
WHY: 'Cause you love delicious food!